Laughter has no language barrier, knows no religion and can touch any age. 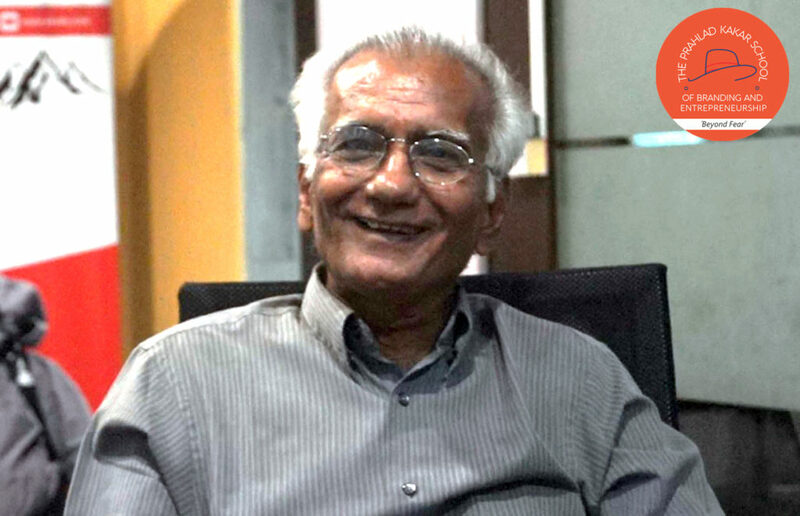 Nothing connects the soul more fondly than laughter and I believe Kundan Shah knew this worldly secret. It’s perhaps for this very reason he spent his time delivering his final lecture on earth, teaching and laughing with our students at PKSBE. Those twilight 9 hours of his life has been etched in our hearts and lives forever. Kundan Shah was a man like no other. When he first walked into our campus, it was hard to believe that a man of his stature could exude so much humility. He was perhaps one of the greatest directors in Hindi cinema of our times, yet he seemed so grounded. In his lecture on comedy in films, he introduced himself saying ‘Hi, I’m Kundan Shah and currently unemployed’. He had a way with words and bonding with people. His passion for the art of comedy brought several pearls of wisdom to the foray. No one before had taught how movement in character could evoke laughter. Needless to say his lecture had laughter bursting from the seams of his classroom. Kundan had the innate talent of blending real life problems into comedy. He would often compare life and comedy in a witty and ironic humorous way saying laughter is not entirely just, its function is to intimidate by humiliating. Just as a disease sometimes takes an innocent life and spares an unjust one, analogically laughter has no time to look where it hits. I believe his most popular movies ‘Jaane Bhi Do Yaaro’ and ‘Kabhi Haan Kabhi Naa’ brought this magic alive. Kundan was a reservoir of talent and I believe our industry failed to savour his sweet nectar of knowledge. We now reminisce his great movies but were unyielding with our feelings when he lived. Such is human nature, ironic but true. If his absence today has taught me anything, it’s to celebrate the lives of our creative souls while they live and learn as much as possible. Creative souls like Kundan Shah rarely walk this earth. Fortunately, PKSBE had the privilege of honouring his talent and sharing his creative spark with aspiring industry students. Other than the 6 hours of his session, we had 3 hours of discussion about life and various scripts written by him over years, lying in his cupboards idle Out of which one caught my attention which was titled “We the corrupt”. We hugged and parted ways only with a promise to meet the following week to talk about conceptualizing and finalizing the script for “We the corrupt”. Sadly, the Almighty had other plans for this mighty soul. Ironically, our last laugh now mists my eyes. Perhaps that’s exactly how he would like to be remembered with lots of love, laughter and tears.